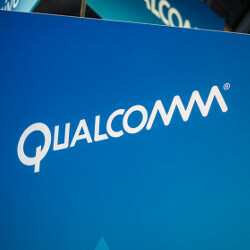 Qualcomm today has introduced the next generation of its ultrasonic fingerprint scanner at MWC Shanghai. Qualcomm Fingerprint Sensors are the follow up to the last generation's Qualcomm Snapdragon Sense ID fingerprint technology. New sensors were announced that will allow fingerprints to be scanned on Glass, Display and Metal. These will work underwater. Besides scanning for prints, the new sensors will also pick up a heartbeat and detect blood flow, which could help enhance authentication. And directional gestures can allow users to control the notification shade and open apps by moving a finger around a rear-facing fingerprint scanner. The Qualcomm Fingerprint sensors can integrate with Snapdragon mobile platforms, and can work as standalone sensor on non-Snapdragon platforms. The Fingerprint Sensors for Glass and Metal will work with the recently unveiled Snapdragon 660 and 630 chipsets. The Fingerprint Sensors for Display, Glass and Metal will be compatible with future Snapdragon Mobile Platforms and Platforms that are not related to Snapdragon. The new features give manufacturers more flexibility when it comes to designing the sensors into a new handset. The Qualcomm Fingerprint Sensors for Glass and Metal will be offered to manufacturers this month and should be inside commercial smartphones during the first half of next year. The Sensors for Display will be ready for manufacturers to evaluate during Q4 of this year. "We are excited to announce Qualcomm Fingerprint Sensors because they can be designed to support sleeker, cutting-edge form factors, unique mobile authentication experiences, and enhanced security authentication. This provides OEMs and operators with the ability to offer truly distinct, differentiated devices with added value on truly groundbreaking new devices. "-Seshu Madhavapeddy, vice president, product management, Qualcomm Technologies, Inc.
Soooooo, GS9 should have it, nice. As usual? Im sure Qualcomm couldn't make Snapdragon 835 CPU's fast enough so they needed help from Samsung one of the few companies who could make them fast enough. Is that why they also ditched samsung for the 845? Maybe the lawsuit from Apple means Qualcomm is losing money so they went for the cheaper option? That doesn't mean Qualcomm will never come back to Samsung. There alot of companies that need Sammy and that won't change any time soon.
" We are excited to announce 'underscreen' fingerprint sensors because they are designed to support sleek, cutting edge form factors, unique mobile authentification experiences and enhanced security authentification. This provides OEMS with and operators with the ability to offer truly distinct, differentiated devices with added value on truly groundbreaking new devices". That sounds like the Apple iphone 8 to me. But I don't think that Apple is going to use ultrasonic fps. Nope sounds like the same thing Samsung was trying to do for S8 but failed to. Plus sounds same as the thing Samsung tried to do for Note 8 which they having issues with. Apple are not the 1st and won't be the 1st. Apple already had theirs working. Its only samsung that has no fruit to show for their efforts. Qualcomm and Vivo have both implemented this tech in collaboration on a specially made Vivo xplay 6 to use as a demonstration unit on the show floor. Why was this part of the story omitted from PA's article is beyond me. Samsung has similar tech on the workings, it's about time Samsung unveils it's own. But kudos to Qualcomm, though.